The Trek Collective: Star Trek The Experience, Online! For those who never got the chance to go there, or those who wish to relive fond memories, here's a neat little site for you. 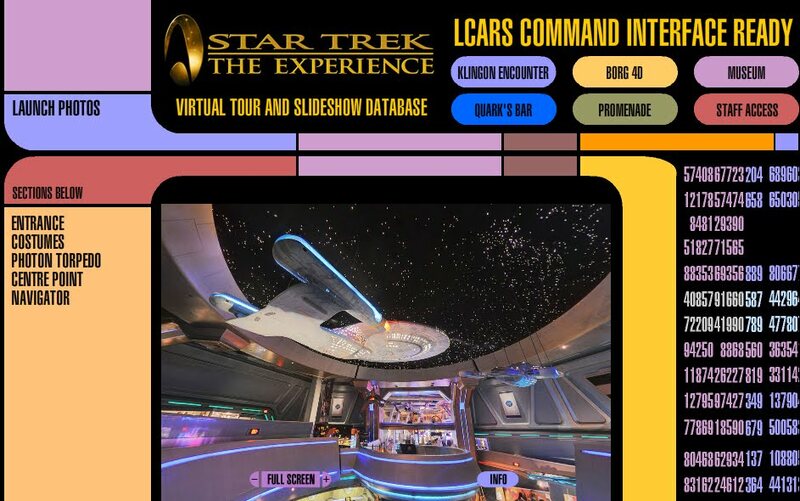 The now closed Star Trek: The Experience has been put online in the form of a collection of 360 degree interactive images, you can view all the major areas of the exhibition, including staff areas. Check out, here.